GMG ProofControl guarantees reliable and complete quality control of digital color proofs based on a defined standard. This is the only way to ensure that the proof simulates the subsequent printing process as accurately as possible. Marginal anomalies and errors occurring on the proof printer can be detected early on.The proof is verified on the basis of incorporated target values from international industry standards, such as ISO Offset, ISO Newspaper, PSR Gravure (ECI), SWOP, GRACoL and 3DAP. There is also the option of customizing quality criteria. 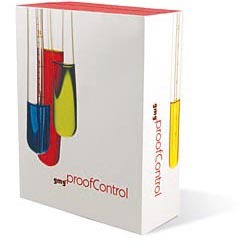 GMG ProofControl Inline is an additional module for GMG ColorProof 5.2, allowing fully automated proofing and fast, error-free verification of contone proofs on Epson Stylus Pro printers with an integrated measuring device.